You’ve got a ton of yard debris to compost but you aren’t sure how to go through the process. Now that you’ve successfully dealt with that old lawn equipment and have new replacements, you want to get as much as possible with a low-cost and little effort. 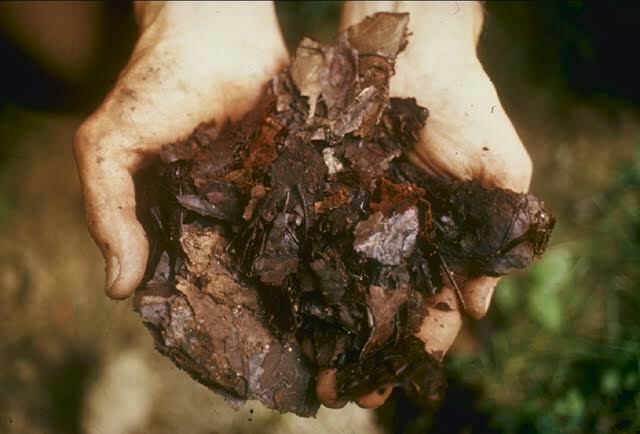 That’s why you want to know how to hot compost yard debris, so you have less fertilizer to buy and have an easy way to deal with all that organic yard waste — killing two birds with one stone. First and foremost, you won’t get far with super big organic material. Large branches and tree stumps are prime examples. Although these will eventually decompose over time, it will take years. For big items like this, yard waste hauling is a far better solution. But, for regular leaf piles, small branches, and other miscellaneous materials, like moss, twigs, grass clippings, vegetables, fruits, coffee grounds, and the like, these are great compost ingredients. Build-up a large organic pile. A huge mistake to those who are new to hot composting is starting too soon with too small of a pile. You need a lot of organic material, including leaves, branches, twigs, vegetables, fruits, coffee grounds, soil, paper, untreated sawdust, and more. Start with a pile at least three feet in height. Mix brown and green materials for the best results. Sprinkle the pile occasionally. Sprinkle the pile with water but do so sparingly. Do not waterlog the pile or this will cause microorganisms to essentially drown. If the microorganisms cannot function, the pile will rot instead of hot compost and will be a messy, stinky waste. To ensure it’s cooking correctly, monitor the center with a thermometer. Temperature should range from 130 degrees to 150 degrees Fahrenheit. Turn periodically to oxygenate. Occasionally turn the pile with a garden fork. Do so thoroughly to really mix the brown and green materials equally as possible. If you do not stir the pile to oxygenate, it will matt down, create a bad odor, and begin to rot. Check for signs of rot in the pile. If there are signs of rot in the pile, something is awry. While you might be able to salvage part of it, chances are likely it’s beginning to rot instead of compost. Under the right conditions, the material will be dry, brown, and crumble. If you need yard debris cleanup or another type of service, just phone 800-433-1094 or visit Junk Garbage Removal. We do a wide range of jobs and can help out with just about anything.